January went by in the blink of an eye. While compiling my link list I’m huddled up in my favourite armchair under a blanket with a cup of coffee, the rooftops outside covered with a light coating of snow. 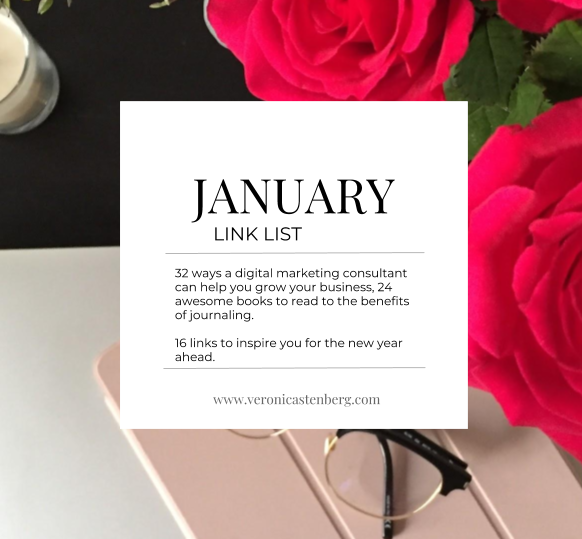 This link list is a mixed bag of digital marketing trends, to personal development and leadership to tips on books for further reading. It’s a list filled with inspiration for a new year a head, bot personally and professionally. I want Google Arts & Culture to release the search art with a selfie function to more countries. As the art lover I am, I’m so disappointed I can’t use this yet. However the app is really great if you want to discover art. What’s next on mobile? here is the answer. Unicornsulting made the most awesome advents calendar during December that I’ve ever seen. It consisted of a book tip a day. Here is the complete list. Found this article on linked in – why there is no such thing as a “CRM campaign” – well worth a read!